24 PAWS OF LOVE: Monday Memories-Where's Chance? Oh handsome all three. Miss to see that one girl. who's want to go outside and who is lucky. Very tough task to choose, But choose anyone by numbering. After looking at more photos of Chance, I would go with the puppy on the left. His fur looks a bit beige compared to the rest. Otherwise, they all look so alike and they're all equally adorable. He's the one on the left, isn't he? What a cute bunch of puppies! We will go along with the one on the left too, but they are all so similar. And so cute too. Is he the one laying down?? All of them are just too cute! Oh, are they all adorable-lucky you! Chance has a whiter muzzle, so I'm going out in left-field and picking the one on the right. They're all so darn cute that it could be any one of them!! Color can change a lot as puppies grow. 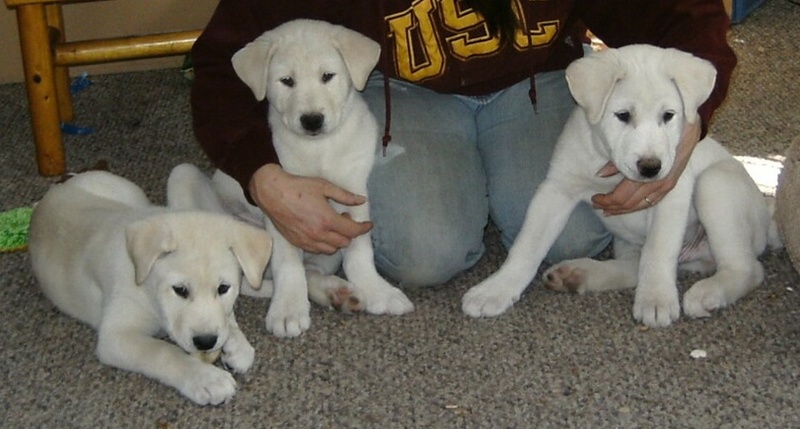 So I'm picking the puppy on the right for his active posture.